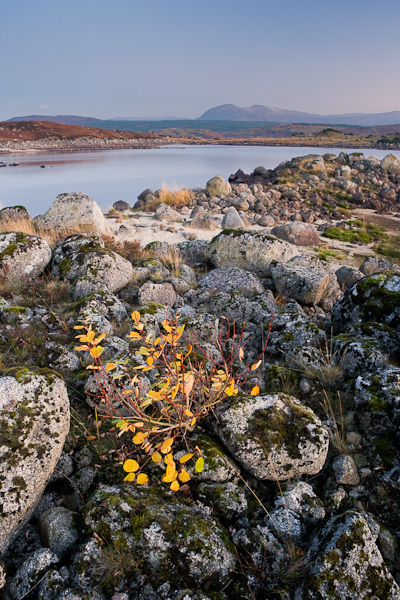 A Silver Birch sapling clings onto life on the rocky banks of a loch. This was the only vegetation to be found on the rocky shoreline apart from occasional grasses and mosses. The sun had just set on the landscape and the final rays were lingering on Meall Buidhe which is the mountain in the background.